Why take part in Veganuary? It’s officially 2019, and that means New Year’s resolutions are in full swing. Many resolutions are diet related, whether it be, “I want to lose 10 pounds,” or something more long-term such as, “I want to eat better”. Why not try going vegan for a month? There are so many reasons people decide to try vegan. For most, a love of animals is the catalyst. Some people want to feel better about themselves and the impact they make on the world. Others would like to set themselves a challenge, and many combine Veganuary with their ‘New Year’s Resolutions’ and see trying vegan as the healthiest start to the year.  Whatever your reason, Mao are here to support you! Discover a whole new world of taste and flavour with our delicious vegan-friendly dishes. 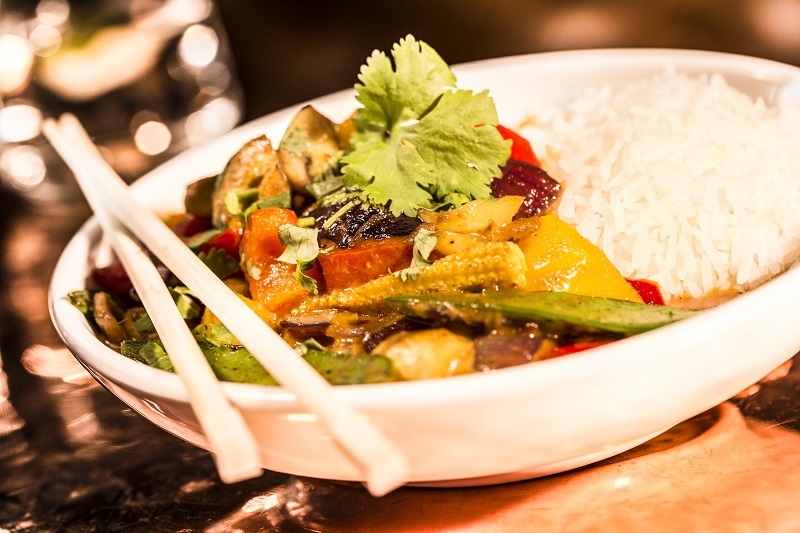 A medley of butternut squash, baby corn, red onion, mushrooms, mangetout, mixed peppers, chillies and spring onion in a yellow curry sauce. Served with Jasmine Rice or Brown Rice. 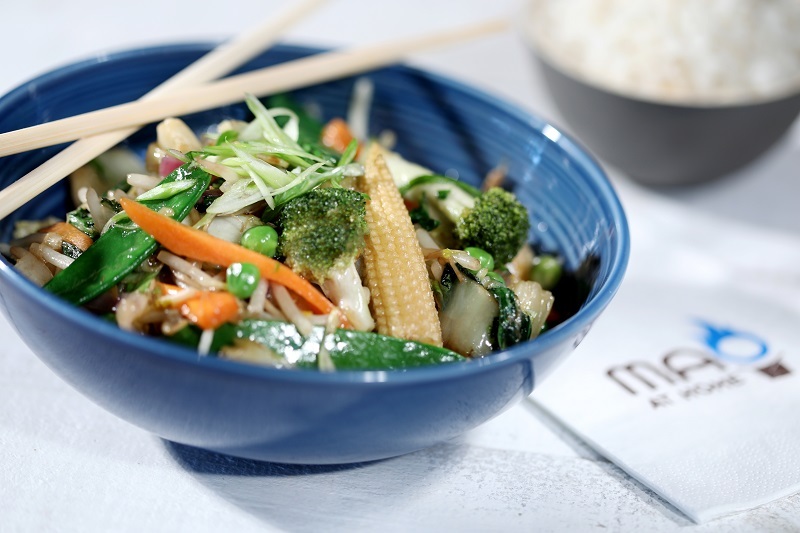 Mixed vegetables and Asian greens wok-fried with vegetable oyster and soy sauce, broccoli, kale, baby corn, red onions and carrots. Served with Jasmine Rice, Brown Rice or Steamed Noodles. Why not try out one of our vegan dishes today?